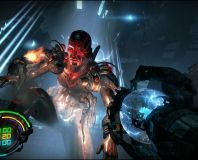 Flying Wild Hog Studios has released a demo for its upcoming cyberpunk shooter, Hard Reset - and you download it from Bit-Gamer! 'Hard Reset transports players to a haunting, dystopian future, with humanity on the verge of extinction, confined to its last standing city and under constant threat from the robotic hordes that aim to annihilate mankind,' goes the official synopsis. Key features for Hard Reset include destruction-based gameplay, a fusion of FPS and RPG elements and weapons with multiple firing modes. The singleplayer demo weighs in at 1GB in size, is intended for Windows and offers players a chance to test out Flying Wild Hog's gorgeous custom-made engine, Road Hog. 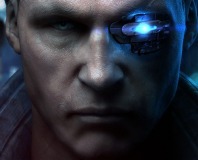 The full game is set for release on September 13, 2011. It will be priced at £22.99 and will be distributed through digital distribution platforms such as Steam. You can read our Hard Reset preview for more information on the game, or check out the Hard Reset trailer below while you wait. More trailers are available through the Trailers section. Flying Wild Hog has released a new update for Hard Reset. Does Hard Reset turn us on or off? Find out in our review of this PC-exclusive shooter. Flying Wild Hog has announced a release date for Hard Reset.